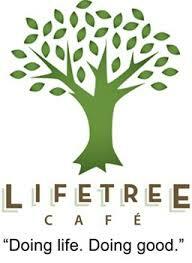 Our Lifetree Cafe goes live on Tuesday evening January 5th at the Del Lago Golf Club's Hacienda meeting room. This Sunday, November 15th, there will be a 20 minute orientation session immediately after our worship service at Cienega HS dining auditorium ( approximately 10:15 am) for those interested and/or those who responded on their "I'm Interested" cards. Please consider attending this to support your new ministry. For more information please contact Joe Staton at joe.staton@q.com.